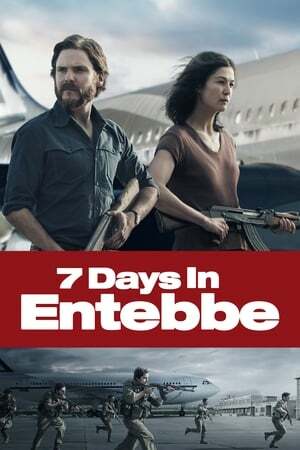 Entebbe is a subject I have been interested in from an early age, having seen all three of the previous movies made on the subject (Operation Thunderbolt, Victory at Entebbe and the best, Raid on Entebbe in 1976) but I also did decided to undertake factual research into the raid some time before this film was ever embarked upon. Though people claim another film about the topic was unnecessary, I cannot agree with that fact. Most of the millennial generation have never heard of these events nor have they seen the previous cinematic efforts. To bring things to a modern audience, a film with contemporary stars is often required to garner interest in a tale that few under the age of 35 would have given much thought to. Considering the age of terrorism that we live in I didn't have an issue with the film giving a heavy amount of screen time to their motivations because if you don't understand why someone has a propensity towards acts of violence as a use of political means, how are we ever going to stop this circle from repeating itself? Good performances are put it from the leads especially Eddie Marsan and Daniel Bruhl but the screenplay is slow and ponderous and doesn't give equal weight to other perspectives and differing viewpoints of characters. it is worth remembering even the 1976 film had a reasonably sympathetic portrayal of Bose. The portrayal of the Ugandans here is two dimensional as always. It would have been more interesting to give some of them a voice and hear their views on the events they were caught up in and had absolutely no control over. As the actual Entebbe is currently a UN Airbase, its a shame the film wasn't shot at the real location because the depiction here (Shot in Malta) feels very stifled. Any Entebbe film will stand or fall on the way the assault is depicted and here its shown extremely piece meal while inter cut with a scene of a dance connected to the girlfriend of one of the soldiers. As many others have stated as a metaphor though I can see what the director was going for it really doesn't work, makes the scene disjointed, muffles much of the sound and reduces the emotional impact of the assault and its consequences. Many aspects of the assault aren't accurate either. Wilfred and Brigette were not next to each other when they died. Yoni is depicted as begin shot during the assault but this is wrong, he was fired at afterwards during the departure while getting the hostages on the plane. A terrorist walks towards a soldier with a Grenade in each hand - this never happened, the Commandos used the grenades in the last rooms to kill the last of the terrorists. Dora Bloch's murder by the Ugandan Secret Police is lumped in with the others. as a footnote on the end titles, which feels ill fitting. The shooting of the three Israeli hostages accidentally during the raid goes almost entirely un-depicted. To have such things omitted and give the screen time no needless dance sequences just feels wrong. As others have said there is no mention of the award given to the French Captain, nor his crew. One cannot help but feel that the soul purpose of the film was to give a voice to Palestine cause and while its fine to show different view points, its not right to give so much screen time to one thing and so little screen time or indeed none at all to many other things of consequence. I missed opportunity and it has to be said, the 1976 film is superior in every way.